I'm not gonna lie when I say life has been rough this year. Personal stuff aside, it has been the longest winter (actual weather wise) that even the cherry blossoms that usually bloom in mid March didn't start popping until the middle of April. Hey guys, you're late. I've been waiting. I don't blame them though, it has been a perpetual rain machine here and I was starting to doubt if the sun was actually still a thing that existed in the world. So long stretches of time like this is when I tend lose hope in... well, a lot of things. I feel like I've been driving with the brakes on, and that this blog is one of the only things that has kept me grounded from week to week. I love it, really really love it -- and it has been the best safety net that has prevented me from spiraling into deep negativity. 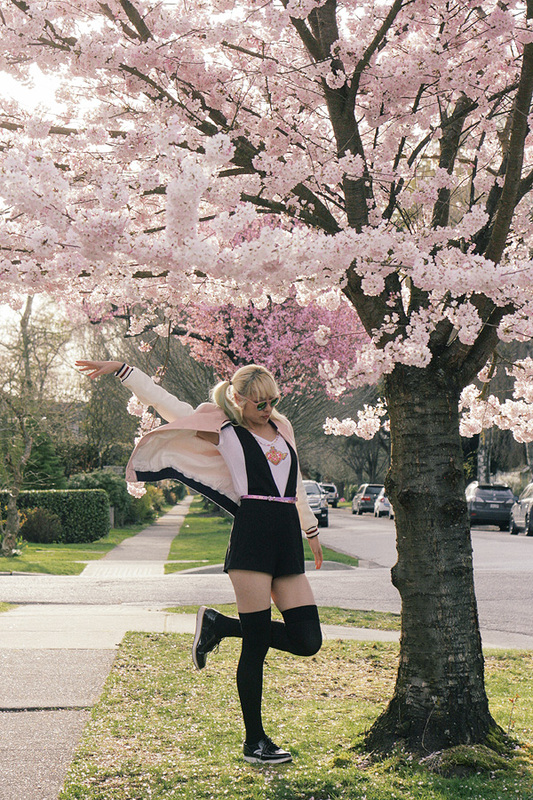 So when the cherry blossoms finally decided to appear, I decided it was time to put together an outfit that was an homage to something else that used to be a safety net when I was younger -- Sailor Moon! Strap in, kids, we're going back to the 90's when TV was my babysitter and best friend, because I had no real life friends in those days. But wait, you may be saying to yourself, that sounds depressing! Well, that might be true, but listen here, let me tell you a thing about the 90's lady heroes that I grew up with. Sailor Moon was something I was enamored with for a long time -- for those of you who don't know what it is, the TL;DR version is this: it's an anime in which a whiny teenager meets a talking cat who tells her she has the power to transform into a hero to fight evil. Together, they track down other Sailor Scouts (each is a guardian of a planet in our solar system,) they all become bffs and kick baddie booties. It was kitcshy, cheesy, juvenile, and everything I ever wanted for myself: friends, magic powers, and talking cats. And at the same time for a girl feeling powerless, I lived vicariously through this fictional group of friends who went from mundane high school students to saving the world. I've always been quite obsessed with the design of Sailor Moon, and still am today. While their uniforms were anything but tactical nor practical, it didn't matter because they were magical girls, and I needed some magic in my life. For the integral part of this outfit, I cross stitched Sailor Moon's transformation brooch onto a plain old t-shirt. It was a time consuming craft that took entirely way too long, but paid off immensely in terms of crafty satisfaction and well, it looks pretty badass if you ask me. Nowadays, I have a lot of time on my hands and a lot of need for magic. I have friends now. (It's an achievement! Please clap.) And they are individually fantastic, and each person is invaluable to me. They are collectively the Sailor Scouts I wished I was a part of when growing up and feeling lonely. So here is a huge thank you and shout out to all who are reading this who may have helped me with this blog in one way or another. (If I'm forcing you to read this, you know it means I love you~) We might not be saving the world, but we're fighting something a lot more bleak, and tenfold more annoying -- adulthood. 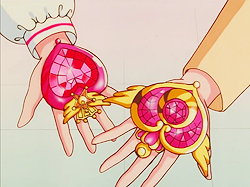 While yes, we might have aged out of the range of Sailor Moon's target audience, but we are all magical girls (and boys) in some way. 6 comments on "Magical Girl 101"
<33 Thank you so much!! 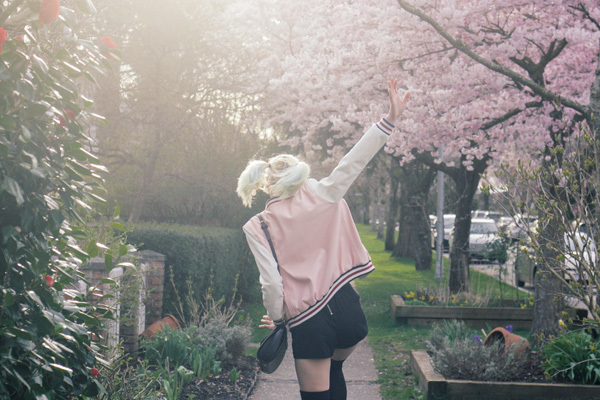 I LOVE PINK and was so happy with this set of photos!! Haha no worries about the novel, I really really appreciate it and love reading your thoughts! 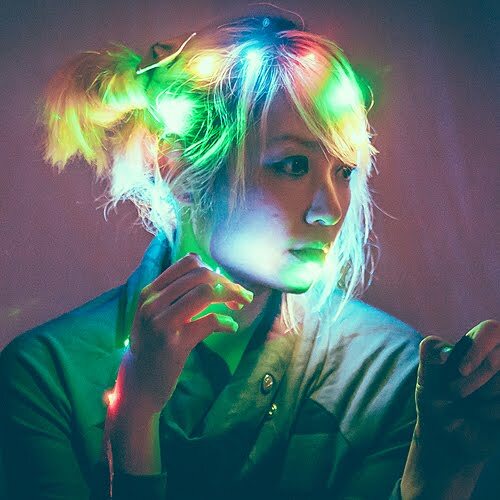 I think the thing with a lot of bloggers is that we need an outlet that's not fulfilled in some way in life -- and being a huge introvert means that I can't get myself to talk about a lot of things irl, so this is truly a life saver. Ahhh! I remember My Girl!! It was one of those movies I taped on VHS (OMG A RELIC) and re-watched over and over. And don't get me started on Xena HAHAHAHA I can go on for DAYS. Well, my first tip is get some rain proof shoes!! I just recently discovered that platforms will help you stay above water! I don't think Portland is as bad as it is up here, but when you look out the window and see a little bit of sun, RUN GIRL RUN, soak it up as much as you can before the clouds come back! It sounds kinda awful LOL but trust me you'll get used to chasing the light and sometimes even getting joy out of it.